Are you one of those people who always runs out at lunchtime to find something to eat? While it can be nice to get out of the office for a break during your lunch hour, eating out every day comes with its drawbacks. If you’re tired of spending your hard-earned money to eat out every day, here are three reasons why you should pack your lunch as often as possible. While it may not seem like your daily sandwich run is burning a hole through your pocket, the constant spending eventually takes a toll. It’s simply not worth it to spend hundreds of dollars on food when a little preparation could solve this problem. Save money by buying your own ingredients and putting together filling meals at home. Once you get into a pattern, the savings will come rolling in. Not only will you be able to master all sorts of yummy, healthy lunch recipes, your mindset around eating will also change. When you pack your own lunch, you become more aware of what foods enter your body and more likely to notice when certain foods make you feel better or worse. Hidden calories lurk in restaurant food, but when you prepare the food yourself, you can select ingredients that provide a good balance of fats, carbs, and protein. Plus, it costs a lot less to eat healthy food prepared at home than it costs to buy it. Convenient, on-the-go food comes at the steep cost of endless paper containers, plastic straws, and glass bottles. By packing your lunch in washable containers like Tupperware, thermoses, and reusable water bottles, you can substantially limit the amount of waste you produce. 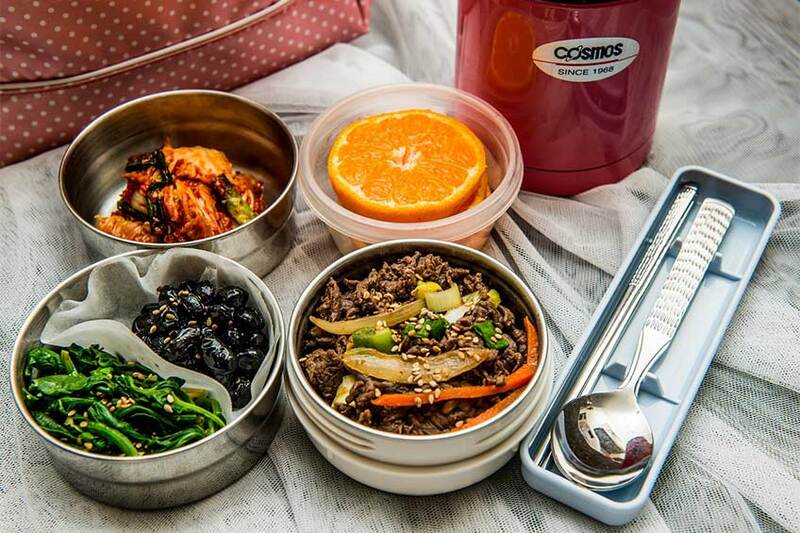 If this post convinced you to start taking more control over your midday meal by packing your lunch, know that there are many quick and easy options for packed lunches. Fresh fruit is a staple, but so are salads with the dressing kept to the side (to keep the lettuce from getting soggy), open-faced sandwiches, cold pasta dishes, and marinated veggies.